A cash-starved steam railway which went into administration with debts of about £1m has been saved after a deal was struck with creditors. 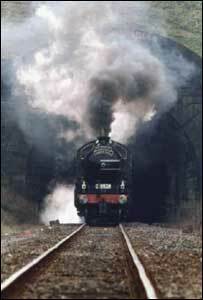 Weardale Railway went into voluntary administration in January 2005, after just a few months in operation. Administrators PricewaterhouseCoopers said creditors had agreed to take 25p for every £1 they were owed. London-based community transport group ECT is to take over the railway's operations in due course. It is expected the railway will begin services again later this year. The £5m project opened in July 2004, running trains on a five-mile stretch of restored track. But the number of passengers fell about 12,000 short of what was expected by the end of its first year.